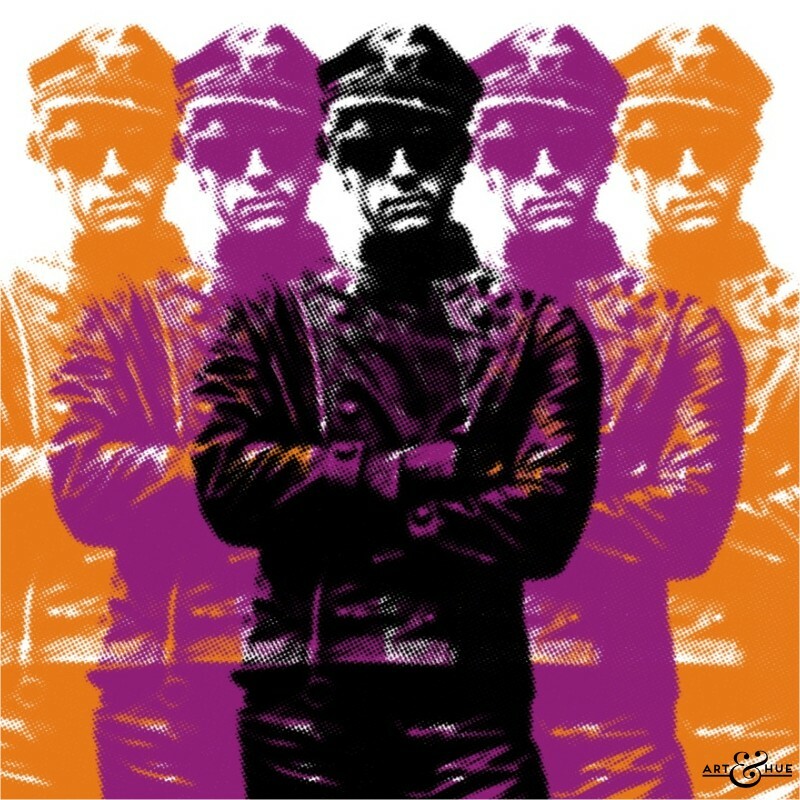 “From Stage to Screen”- Stylish Pop Art inspired by Film Adaptations of Stage Plays. 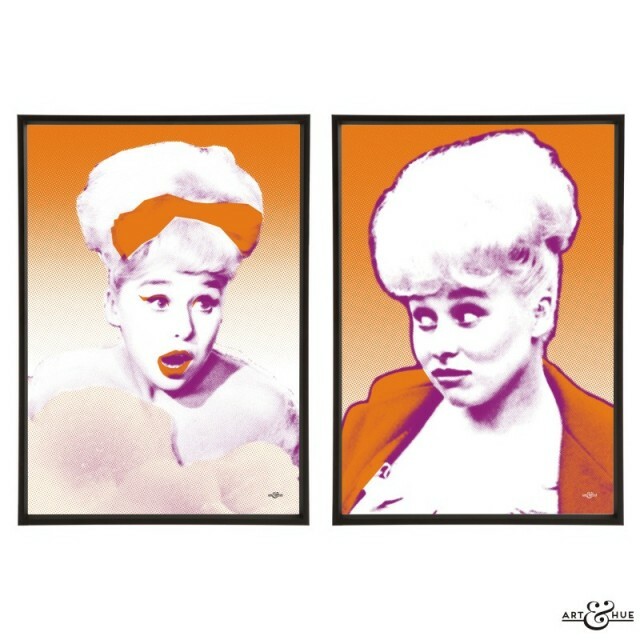 Art & Hue treads the boards for the new collection of stylish pop art inspired by plays adapted into films. 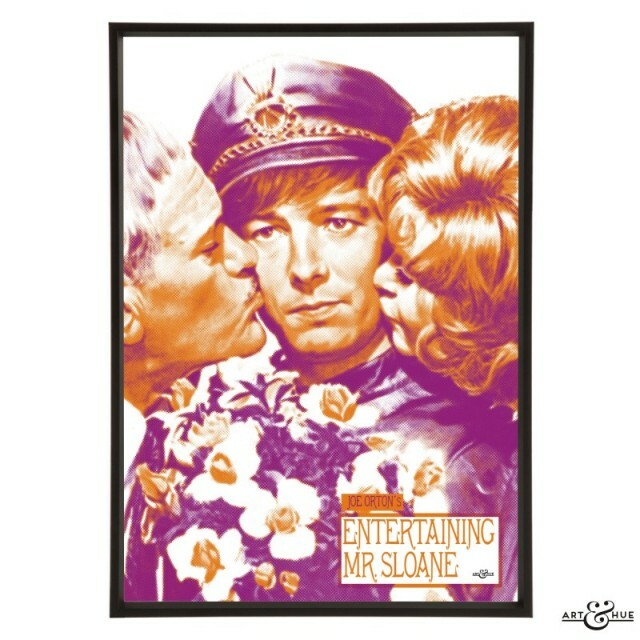 From the glitzy showbiz of musicals to the provocative black comedy of Joe Orton, Art & Hue has transformed images from the archives into eight stylish pop art prints which celebrate iconic productions and actors. 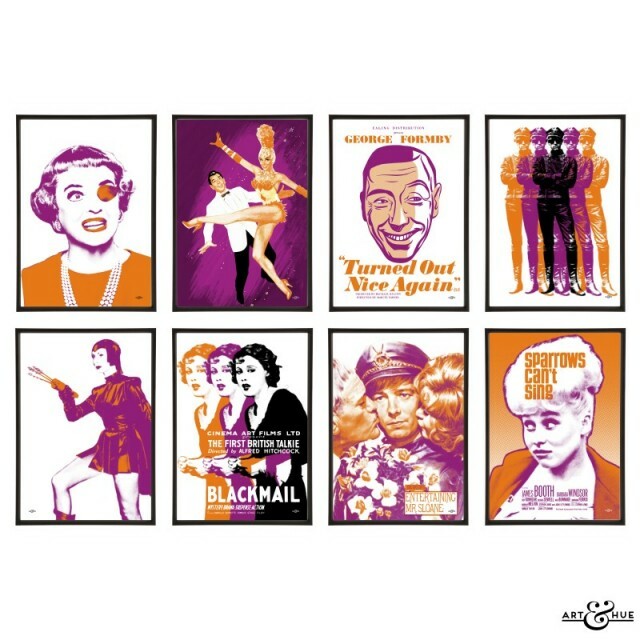 All prints in the “From Stage to Screen” collection are available in three sizes and a wide choice of colour options, including a new combination of vibrant orange & purple inspired by posters from the 1968 production of “The Anniversary” starring Bette Davis. 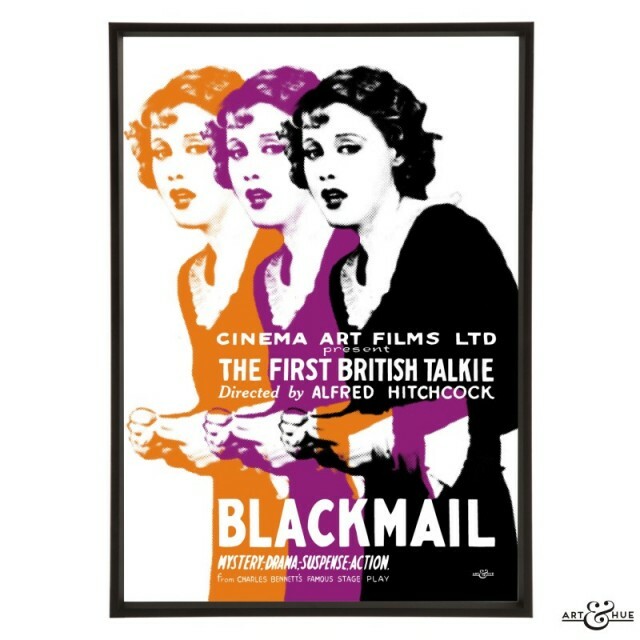 The theatrical collection includes a re-imagined poster for the first all-British “talking picture” with sound released in 1929, “BlackMail” directed by Alfred Hitchcock, as well as Joe Orton’s “Entertaining Mr Sloane” with Beryl Reid, Peter McEnery & Harry Andrews. 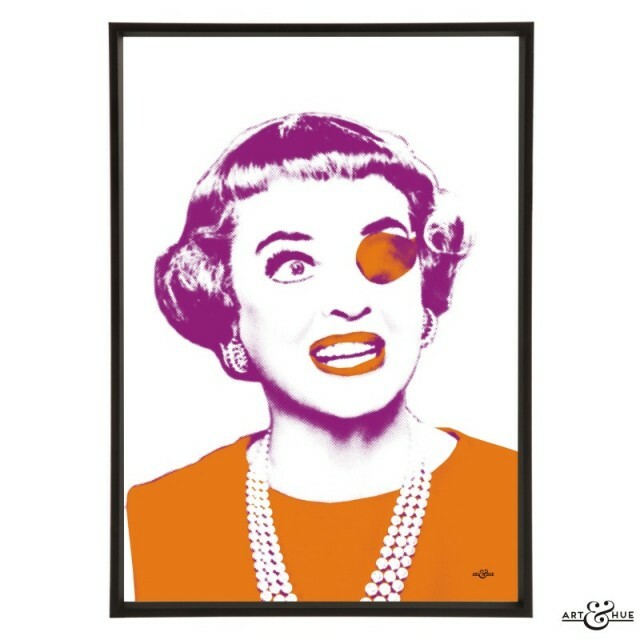 Screen doyenne Bette Davis in “The Anniversary” gets the Art & Hue treatment as does the cult B-movie sci-fi production of “Devil Girl From Mars” with Patricia Laffan. 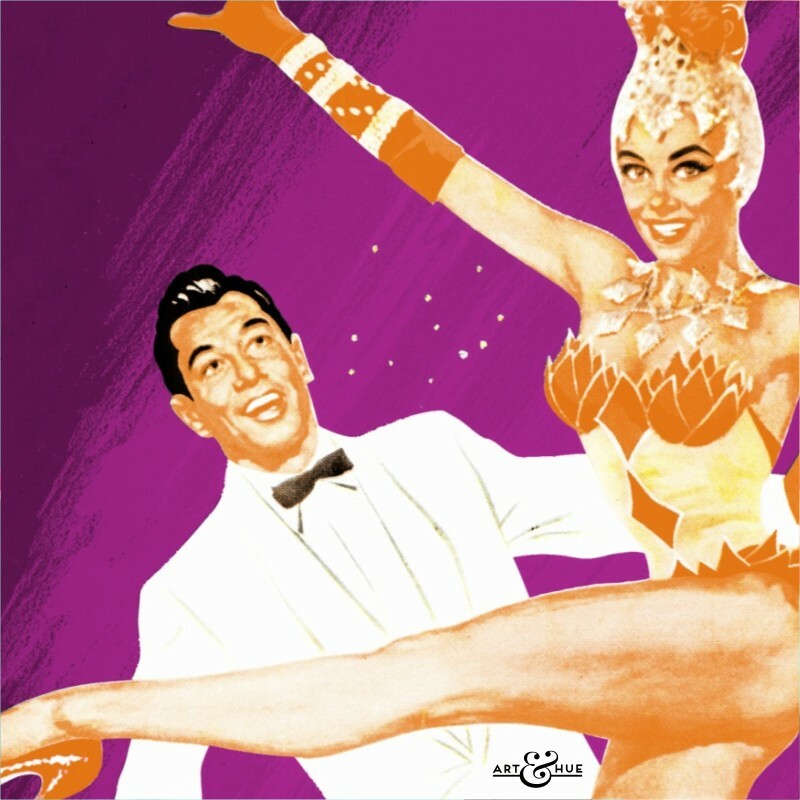 The Edinburgh-set musical “Let’s Be Happy” is pure Strictly-come-dancing ballroom glamour, with Tony Martin in his white tuxedo and Vera-Ellen as a high-kicking showgirl. 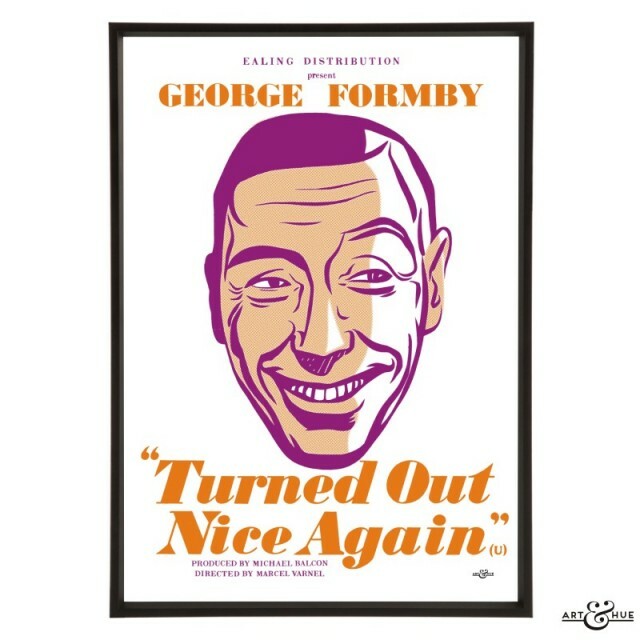 Completing the collection, ukelele king George Formby features in an illustrated reworking of “Turned Out Nice Again” and Barbara Windsor takes centre-stage as the prominent star of Joan Littlewood’s Theatre Workshop production of “Sparrows Can’t Sing”. 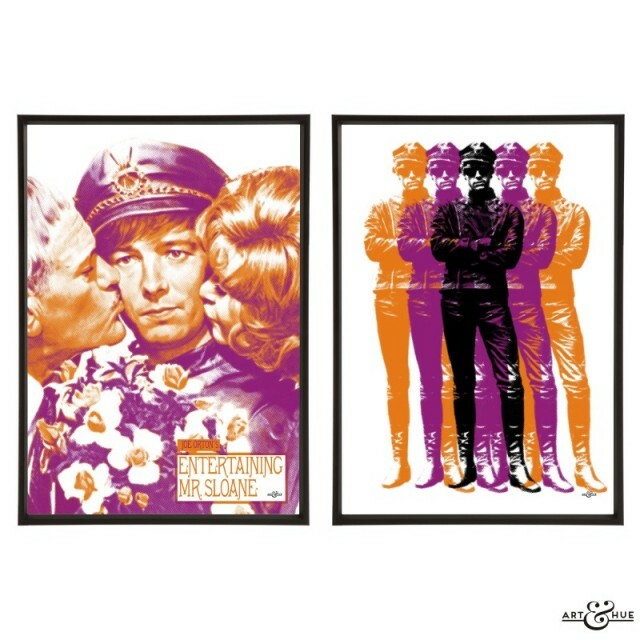 A stylish way to bring the theatre into the home, the collection features Art & Hue’s signature halftone style (halftone is an age-old technique that uses dots to make up the printed image, similar to newspapers or comic books). 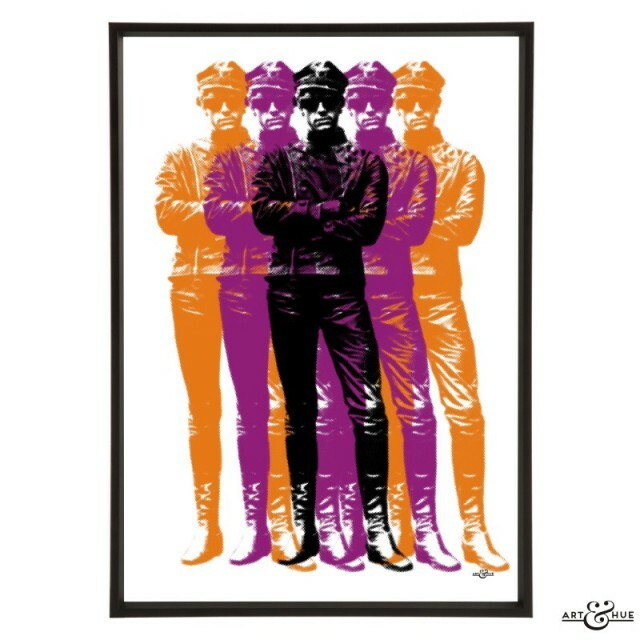 Usher stylish pop art into your home with the plays collection below. 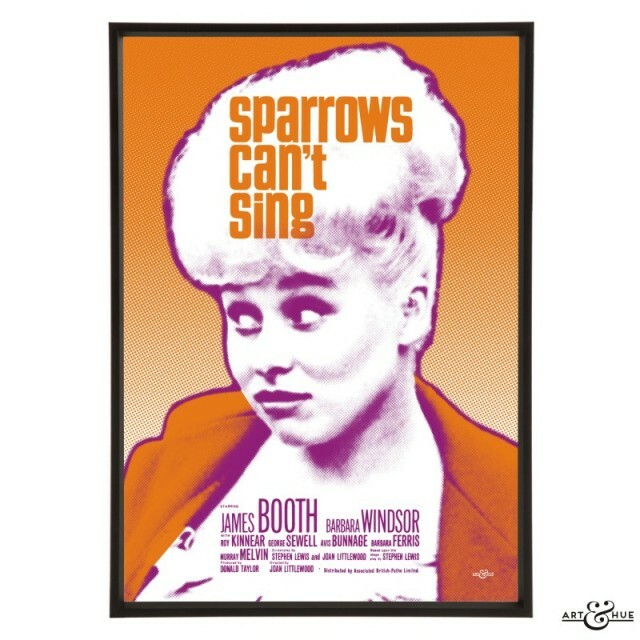 The Anniversary, Blackmail, Devil Girl From Mars, Entertaining Mr Sloane, Let’s Be Happy, Sparrows Can’t Sing, Turned Out Nice Again.